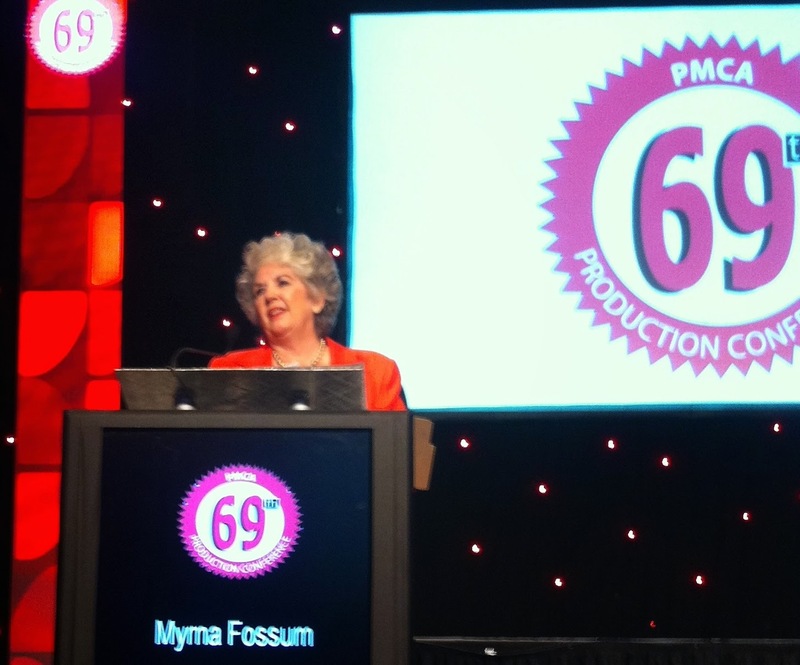 I was thrilled to work with Myrna Fossum at the 69th Annual PMCA Production Conference. Myrna was invited to speak on the topic of Sensory Evaluation and I co-authored our paper titled, Using Holistic Sensory Methods. 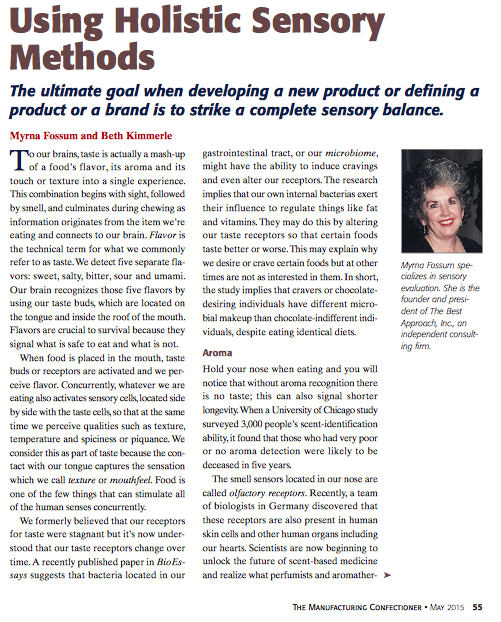 Look for the paper in the May issue of Manufacturing Confectioner Magazine. I have included a preview page here. If you'd like a copy of the presentation, please email me. You can find our videos of consumers tasting chocolate as well as a trained sensory panel by following the links to YouTube. We used these to demonstrate the type and quality of information you can gather from each type of group. Just as we had finished our presentation and paper when this GREAT article about sensory marketing came out in Harvard Business Review.